#173. Complain about the grey skies, the constant rain, the traffic lights out and the seemingly endless commutes across town. But who wants to do that. With the skyline last spotted days ago I decided to stop relying on nature and get me a more reliable source. 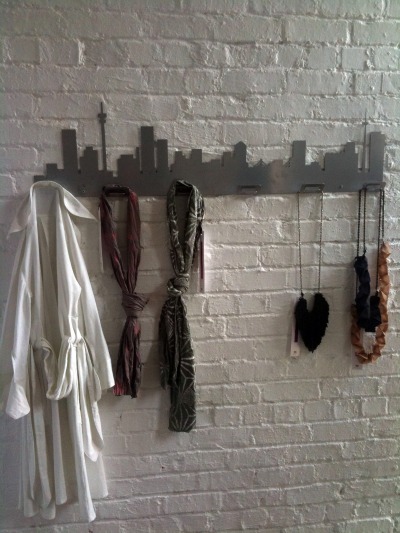 Introducing the skyline by Love Jozi from their store (shared with uber-cool fashion label Black Coffee) at Arts on Main now showing on a wall near me. #139. Head downtown to Arts on Main. It’s not often that you have an opportunity to witness a random conversation between two generations of South Africa’s most talented artists whose work is collected by the Museum of Modern Art (MOMA) and other major global art institutions. There I was walking through the courtyard at Arts on Main watching William Kentridge lean out of his studio window to talk to photographer Mikhael Subotzky.